It’s here! After many requests this is my slipper edit. Slippers make the perfect gift and yes, to open these Baboosha ones (in pic below) would be a pretty special moment… hint hint. One of the best things about this time of year is getting home and getting your comfy slippers on. I’ve rounded up my favourite styles - from sheepskin booties, embroidered folk style to fluffy sliders - I hope you’ll find some inspiration here. Invest in some decent ones that will last the test of time - plus staying in is the new going out right so cost per wear here is well worth it! Fun slippers are the new pick me up. 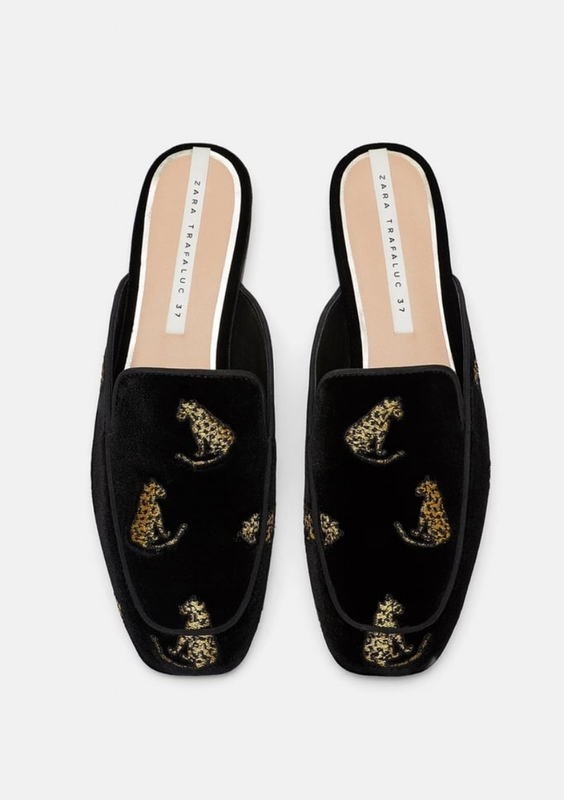 OK, I know these are expensive but if you are after the most luxuriously beautiful slippers ever then look no further! Designed in Paris, then individually handcrafted by local artisans in the Andes Mountains of Peru, using the highest quality Suri alpaca fur, ethically sourced from the same region. Absolutely fabulous! Not only do these look super cool I love the versatility as they can be folded up or down. Beautifully crafted, each pair is lovingly and individually handmade using techniques that have been passed down through generations of a Polish family. The Small Home is a new brand I’ve recently discovered and fallen in love with, they are committed to supporting small, socially responsible craftspeople and producers. 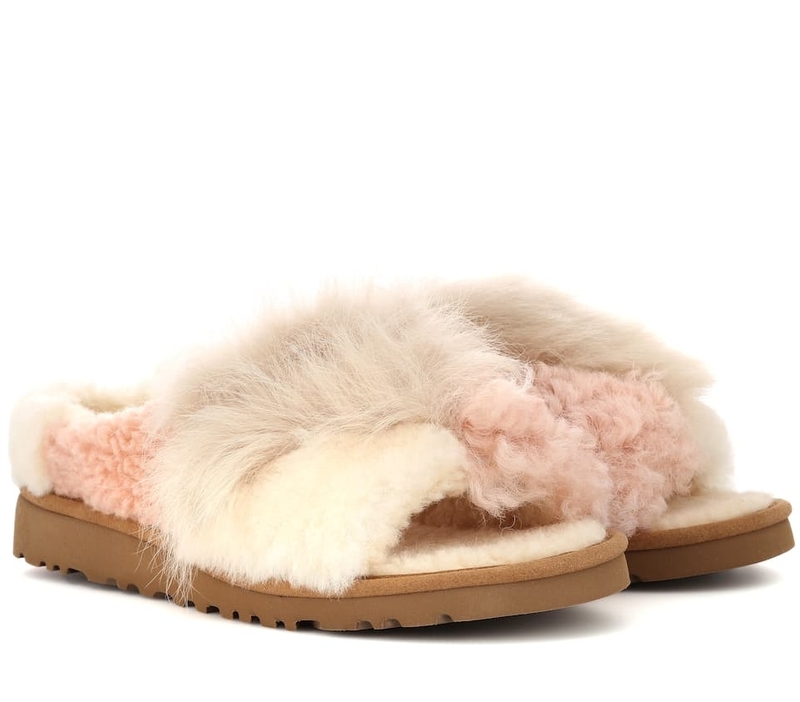 Sheepskin heaven with these patchwork slides, too good to just wear inside. I love the soft colours and different textures, super cool. Vegan slippers that can be worn inside or outside. Walk and shake your pom poms. Comes in black too. Cosy double strap sliders and nice to see a bright colour for a change! 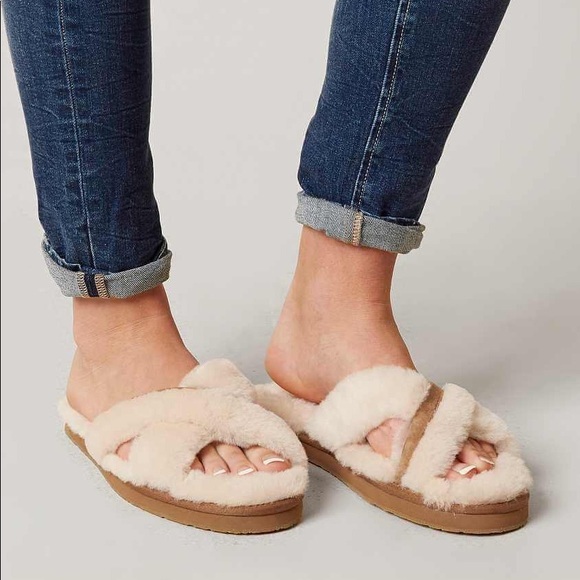 OK so not officially slippers but great for slipping into and looking glam around the home and you could wear them out too! Had to include these beauties. 100% sheepskin with natural leather/suede sole the inner wool is sourced from the mountains & each pair lovingly hand embroidered in colourful designs by skilled traditional artisans in Poland. Each one is unique. Mega cosy!! Lots of my family members own these brilliant and practical Danish slippers made of wool. The Glerups shoe has a back that hugs the heal, ideal when going up and down the stairs as the slipper stays firmly on the foot. Comes in an assortment of colours. The art of lounging would come easily in these retro looking slides. Made from real shearling, they also come in navy. These look so cosy and comfortable I had to include them. Shoes off, slippers on and feet up! 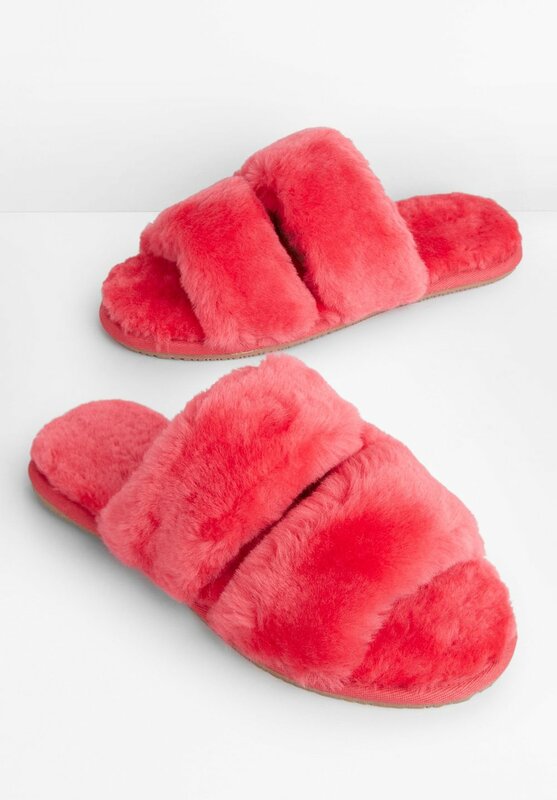 Very glamorous house slippers if you fancy a more elegant look. Inspired by the laid-back California lifestyle, this cloud-like slide is built to travel both indoors and out with ease. 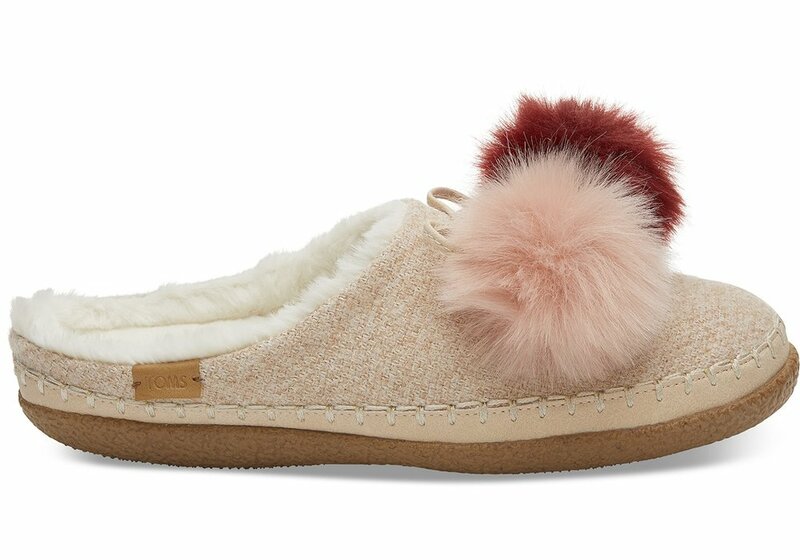 It’s crafted from soft sheepskin and suede, I get quite hot feet so these make the perfect way to keep your toes aired too!